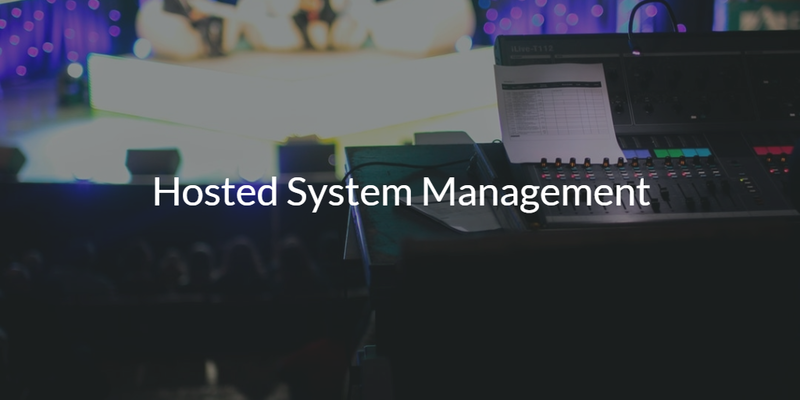 The concept of system management has existed for as long as there have been PCs and networks. As PCs emerged and started to be used in the workforce, IT organizations needed to be able to manage them. Now, a new generation of hosted system management solution is emerging to make the management process even easier. Microsoft, of course, was the dominant provider of operating systems and applications and so it made sense for them to build the tools that IT admins needed to manage their solutions. These tools like System Management Server (SMS) and SCCM (System Center Configuration Manager) were excellent at managing Windows based systems and networks. Active Directory® also provided some management capabilities geared towards Windows systems as well. The challenge, of course, was if your organization leveraged non-Windows devices, applications, or network components, it was hard to manage them. This is the way that Microsoft helped to lock people into their platform. The other challenge with management tools historically has been that you need to manage the managers. That meant more servers, software, time, money, and resources. It was like an added tax to using technology. Hosted system management solutions are taking aim at this tax and working to reduce the pain of managing modern IT infrastructures. Modern approaches to IT are not Window’s centric. In fact, organizations use whatever is the best technology from Mac and Linux systems, AWS or Google Cloud Platform for server infrastructure, modern on-prem and web applications anywhere from Jenkins, Docker, GitHub, Slack, and millions of others, on-prem and cloud storage platforms such as Box or Dropbox, and WiFi networks. All of these need to be managed from a user access perspective and from a systems management approach. Fortunately, a new approach to system management is being pioneered by the cloud identity and access management (CIAM) platform, Directory-as-a-Service®. 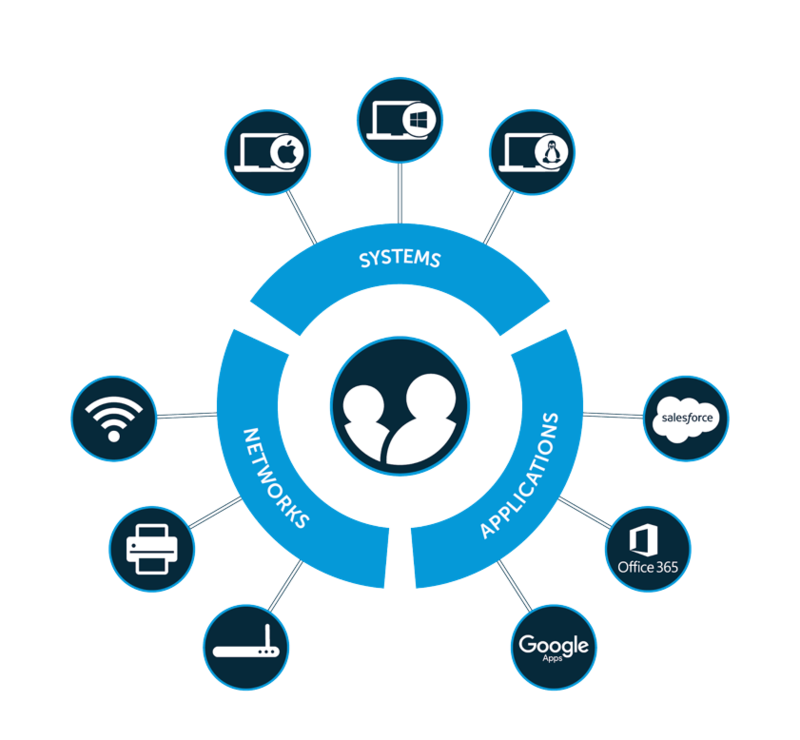 Similar to Active Directory’s system management capabilities with GPOs, Directory-as-a-Service is creating a cross-platform hosted system management solution for Windows, Mac, and Linux devices. Think of the concept as cross-platform GPO-like capabilities. These types of GPO-like commands are referred to as Policies in JumpCloud parlance. Directory-as-a-Service enables admins to run commands or scripts against any number of systems (Windows, Mac, or Linux) to automatically execute tasks on those systems. Commands and scripts executed on systems deliver results data including whether the task was successful and associated meta data. 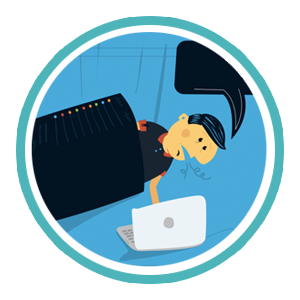 Examples of standard policies can include things like how to deploy the JumpCloud agent, software update enforcement, disabling guest accounts, triggering specific tasks, adding/deleting printers, setting screen lock timeout, and much more that can be deployed to any number of systems or system groups. JumpCloud is continuously expanding its library of scripts and policies – if you have one in mind, let us know and we’ll try to develop it for you. Admins can also delegate specific commands to command runners, which are limited administrative users with the ability to view, run, and pull results from the commands they have access to. Command runners do not have the ability to create commands, only run them. This is ideal for less technical personnel such as help desk, finance, marketing, or sales team members that can take some of the workload off of senior system admins to enforce policies without the risk of damaging systems or infrastructure. The advantage of Directory-as-a-Service GPO-like capabilities is that admins can manage systems and enforce policies across platforms without being bound to an on-premise directory service instance like Active Directory or tied into a virtual private network (VPN). Instead, policies can be enforced remotely from anywhere with an internet connection. Additionally, the JumpCloud policies are no longer dependent on a Windows-centric environment, which is unique to Directory-as-a-Service. If you would like to learn more about how hosted system management with Directory-as-a-Service may be the right choice for your organization, drop us a note. Alternatively, sign-up for a free IDaaS account and see what a true cloud directory could be for you. Your first 10 users are free forever.